Is Sushi Healthy? If yes, how many can I eat? This blog is dedicated to all my fellow sushi lovers and all those who have ever wondered if this food is actually healthy. It is common to assume that it is healthy; after all, it is simply white rice and fish. Today we will explore the question, “is sushi healthy and if so, how much should I eat?” I will end with my recommendations for how to make your sushi dining experience even more healthful! Get the wasabi ready (aka Japanese Horseradish) because this is going to get spicy! Sushi is a type of Japanese cuisine that consists of cooked vinagared rice called “shari” along with other ingredients called “neta”, which commonly consist of raw fish. The seaweed wrapper is called “nori”. Nigiri Sushi: This is the type that is in a rectangular shape with one piece of fish on top. 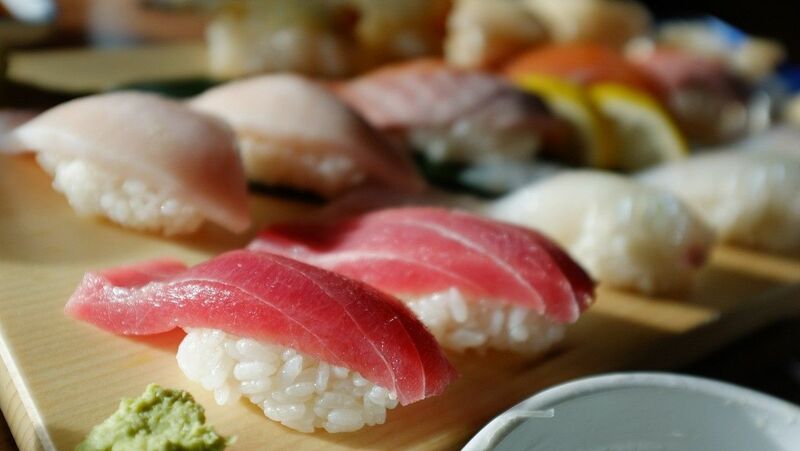 • One piece of Nigiri sushi provides 40-55 calories. Maki Sushi: These are the rolls with the fish in the middle and the seaweed (nori) wrapper on the outside. Within the maki family you will find temaki which means “handroll”. • One maki roll is usually around 50 calories a piece. Therefore, a six piece maki meal would provide around 300 calories. However, this number can increase quickly to over 500 calories with deep-fried ingredients or with sauces. Sashimi: This is simply raw fish and no rice. • 1 piece of Sashimi provides around 30 to 40 calories. First, always enjoy your sushi! Savour the fresh taste and be a mindful eater. Try a seaweed salad or edamame (soybeans) as an appetizer for added B vitamins. Avoid rolls deep fried ingredients or the rich sauces. Example: Choose spicy salmon roll (290 calories per 6 pieces) instead of the tempura/deep-fried shrimp Dynamite roll (508 calories per 6 pieces). Avoid ‘all-you-can eat sushi’ which promotes over-consumption. If you are a woman trying to watch your calories, aim for about 6 pieces of the nigiri or maki sushi at a meal. If you are a man trying to watch your calories, aim for about 9 pieces of the nigiri or maki sushi. Request brown rice instead of the traditional white rice for added fibre to fill you up! Choose the lower sodium soya sauce with about half the sodium (600mg sodium per tablespoon) compared to regular soy sauce. Enjoy your sushi! Without a doubt, sushi can be a healthy choice and a chance to get some extra omega 3’s in your diet too. 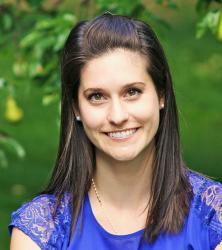 Andrea is a Registered Dietitian and owner of Dietetic Directions, a nutritional counselling and education company. Andrea’s mission is to inspire clients through motivation and guidance to achieve life-long health behaviour changes. She has taken continuing education in the areas of Food Allergy and Food Hypersensitivity, Health Research Literacy, Motivational Interviewing & Coaching for Behaviour Change.